Hello friends! 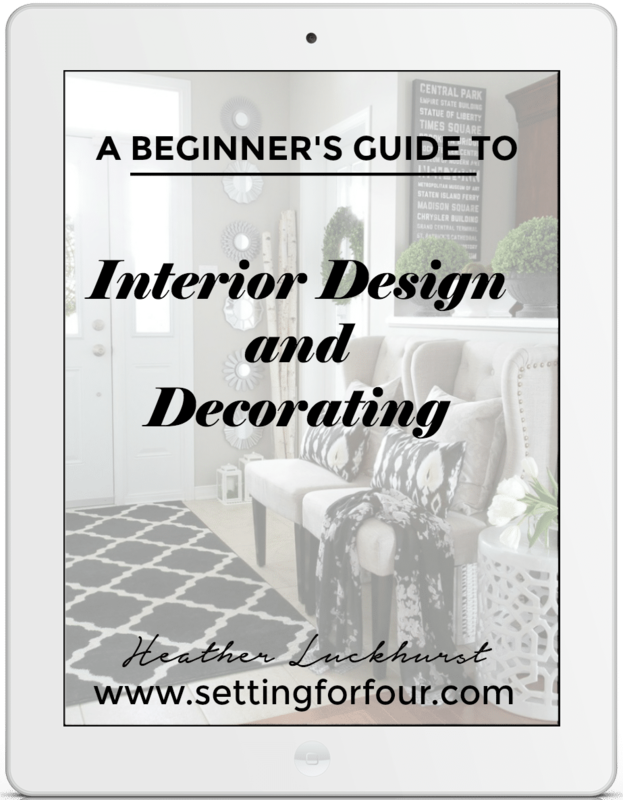 Today I’m sharing my tips on What to Decorate and Make in November to get you organized for the holidays! 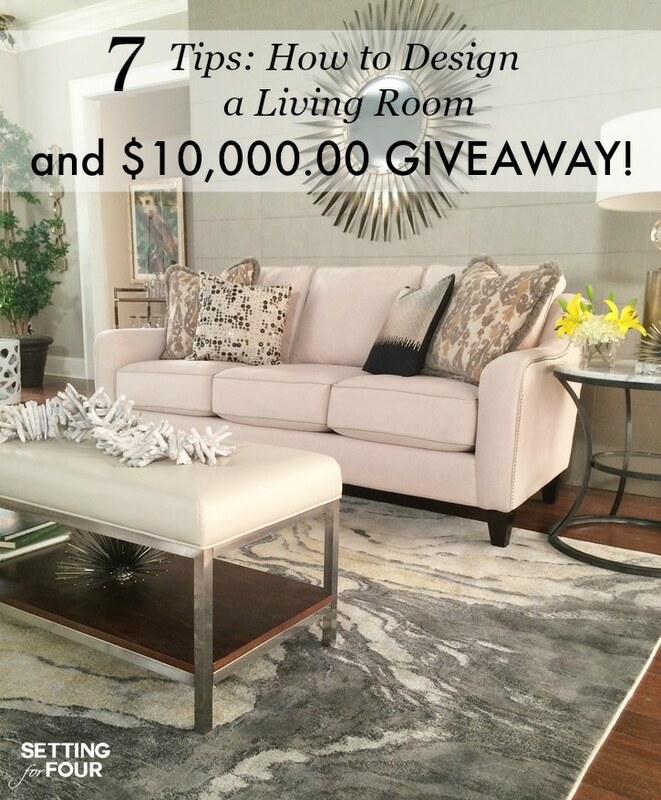 I also wanted to extend a huge THANK YOU for all of your kind words of support, your votes and your beautiful compliments on my Liveable Luxe living room design that’s in the La-Z-Boy Design Dash contest! You’ve all been so incredibly gracious! More on that below. 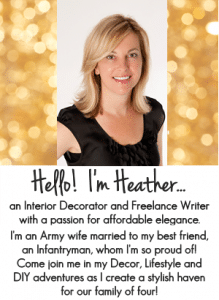 In case you missed it, I designed a living room in just 36 hours in the fun La-Z-Boy Design Dash Blogger Challenge and my room is in a design contest! Check out my whole living room reveal and my 7 Secret Tips on How to Design a Living Room. 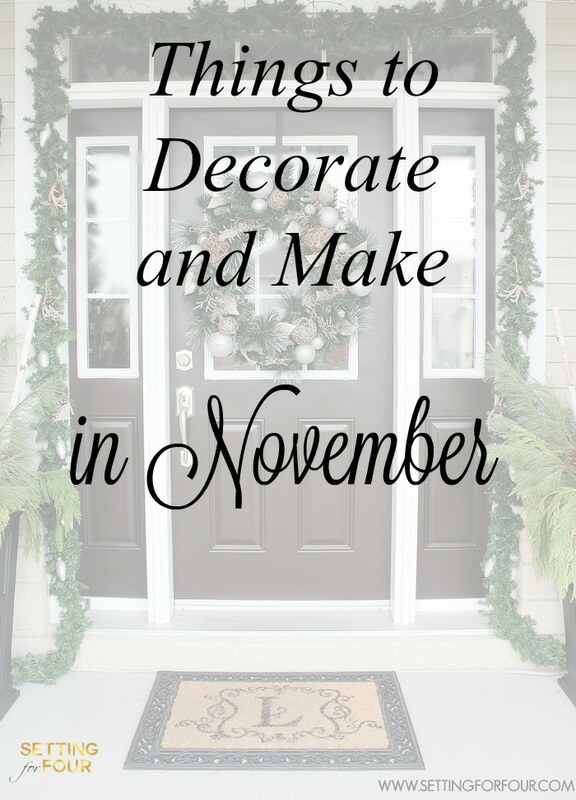 Now let’s talk about what to decorate and make in November! November is a busy month for holidays, preparation for winter, getting ready for guests and parties and getting a start on our holiday gift list! Here is my Holiday Entryway from last year. 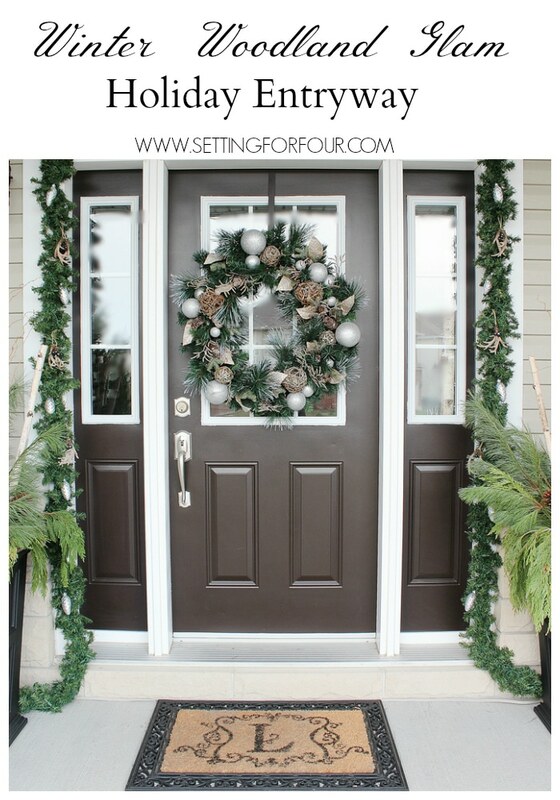 I love adding festive curb appeal to my front entryway at Christmas with a front door wreath, garland for my door and DIY pine and birch urns decorated with natural elements! 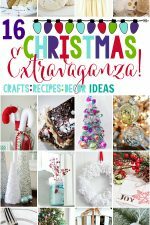 I have a ton of DIY gift ideas for you to make for friends and family! 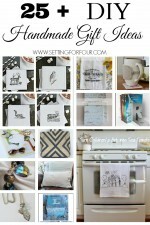 Browse my DIY Gift Ideas section to see them all! 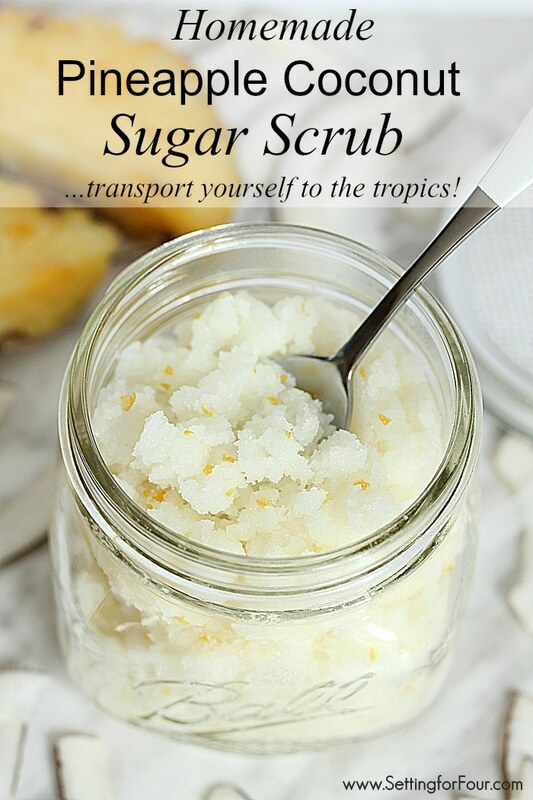 My DIY Pina Colada Coconut Sugar Scrub in a mason jar is one of my top pinned posts and a reader favorite! It’s smells so amazing with pineapple and coconut – it’s like a tropical holiday in a jar and makes your skin feel silky soft and moisturized to the max! 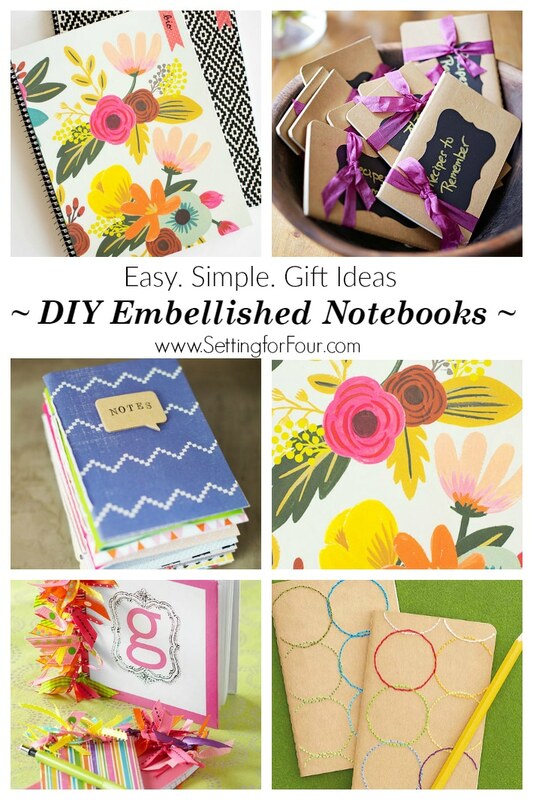 Make a bunch of these quick and easy DIY embellished notebooks to give as teacher gifts, neighbour gifts and hostess gifts! 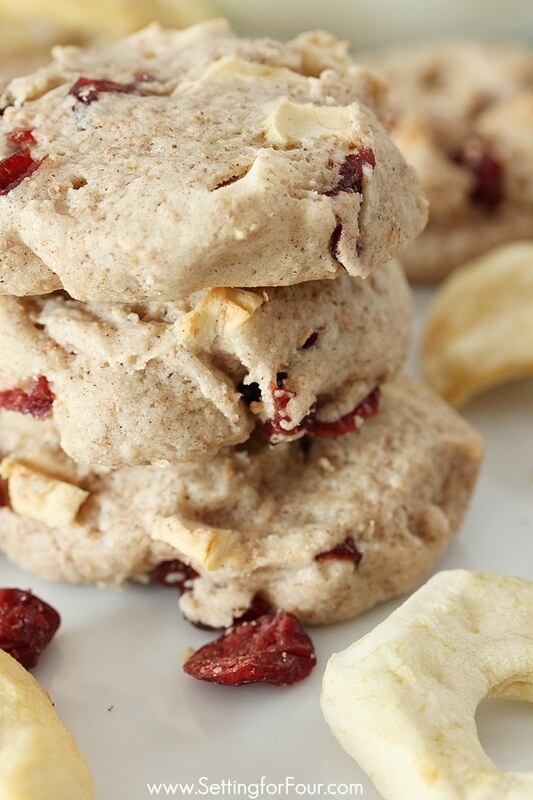 Make these yummy Make Ahead and Freeze Apple and Cranberry Icebox Cookies – makes a great food gift idea too! 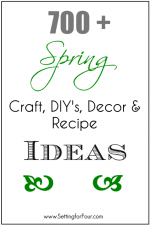 – Package them in mason jars with the free gift tags below for quick and easy gifts! 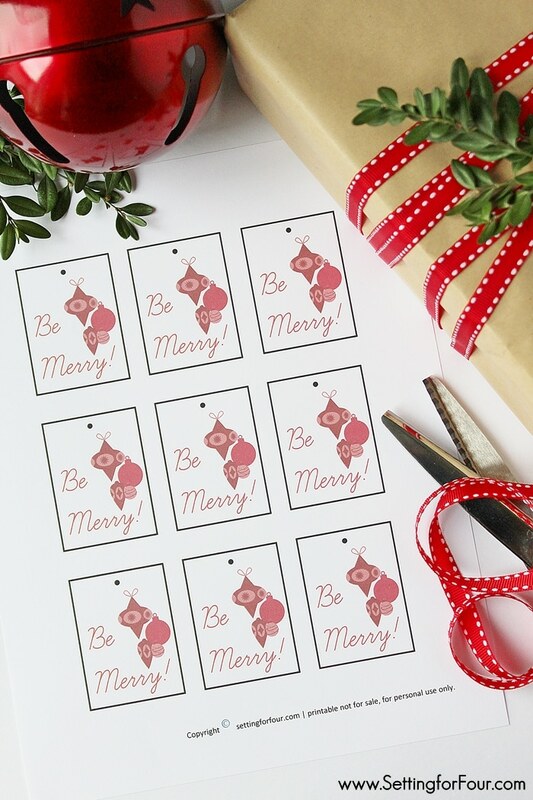 Save money and make your own pretty holiday gift tags! Go here to download them and print them off on your computer. Cut them out, add some baker’s twine and attach to your holiday gifts! You’ve raked your leaves and prepped your flower beds for fall and winter. Here’s some great ideas to store and organize your yard and garden tools such as hoses, rakes, garden shears and more! 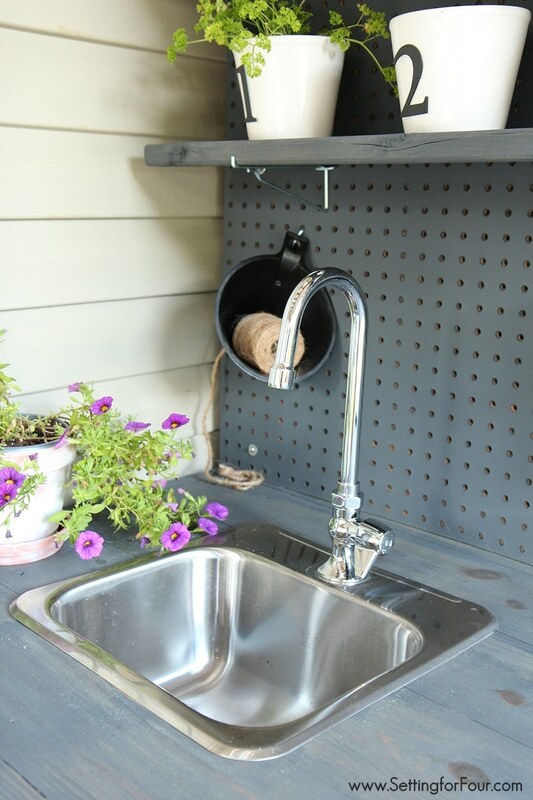 November is a great time to scout out pallets to build my husband’s custom designed DIY Potting Bench with faucet, sink and hose reel! Collect pallets to make this fun Pallet Wood Bar too! Even if the weather is turning cold now where you live (like here!) you can collect pallets now to build next Spring. 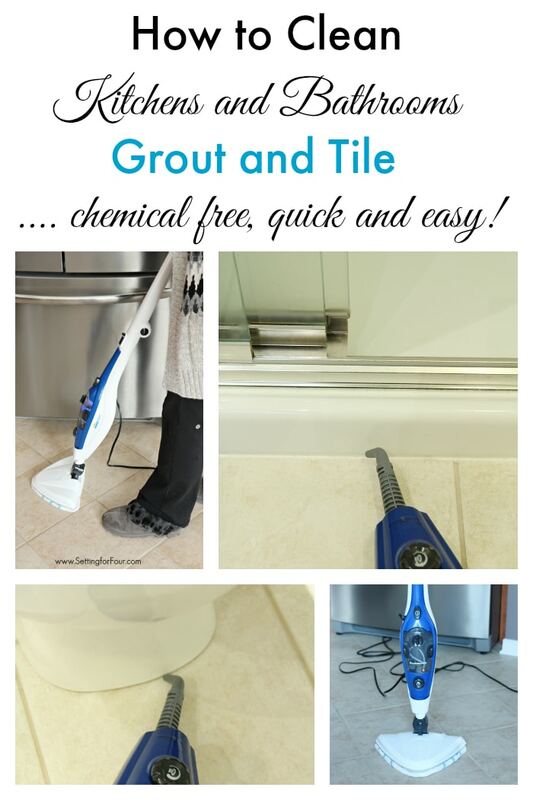 November is a great time to deep clean your Kitchen for guests and parties with this Kitchen Cleaning checklist, clean your hardwood floors as well as clean tile floors (foyer, bathroom, kitchen) and get the rest of your home clean for guests. 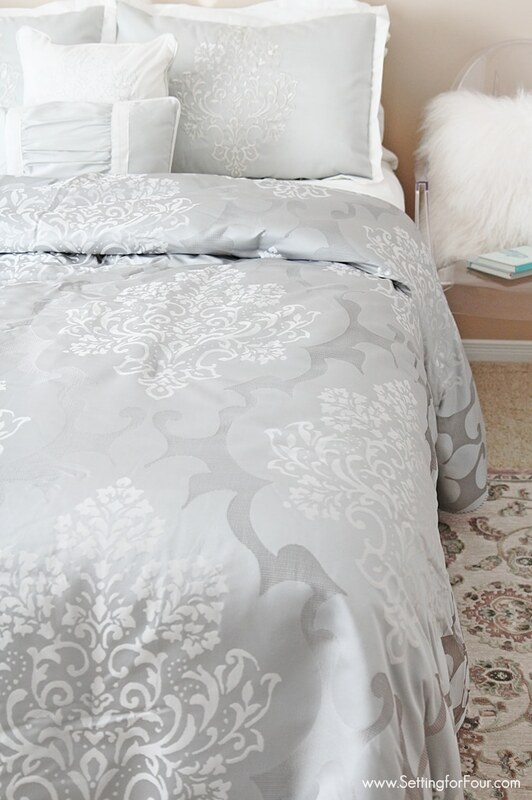 Add some new bedding to your guest room. Makeover your fireplace to showcase your holiday decor! How to paint fireplace tile and mantle fresh bright white. Paint that room that’s been needing a fresh coat of paint before the holiday parties start. 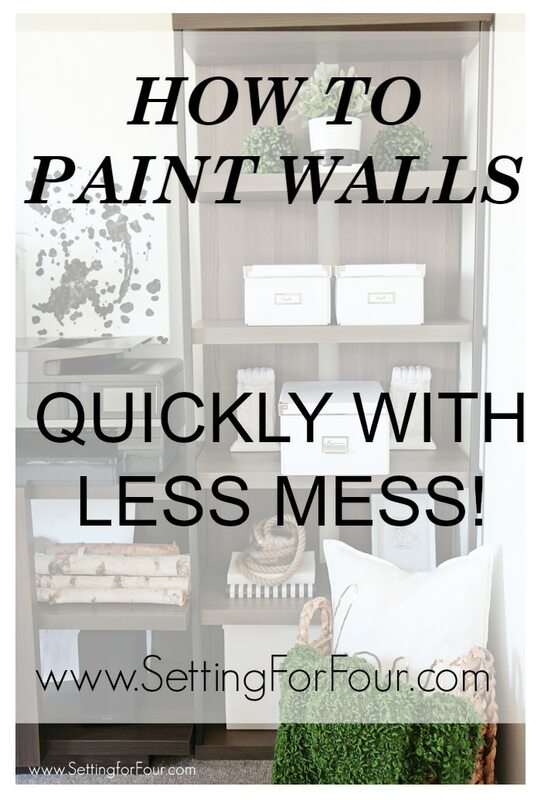 How to Paint walls quickly with less mess! Cut your painting time to one third! 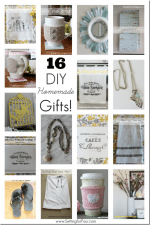 Mothers Day Gift Ideas – 16 Beautiful Gifts To Make! Your November to do list sounds very much like mine – except I wait until December 1st to decorate the outside – just can’t do it before then. Voted for your living room. The funny thing is that it was my favourite anyways! 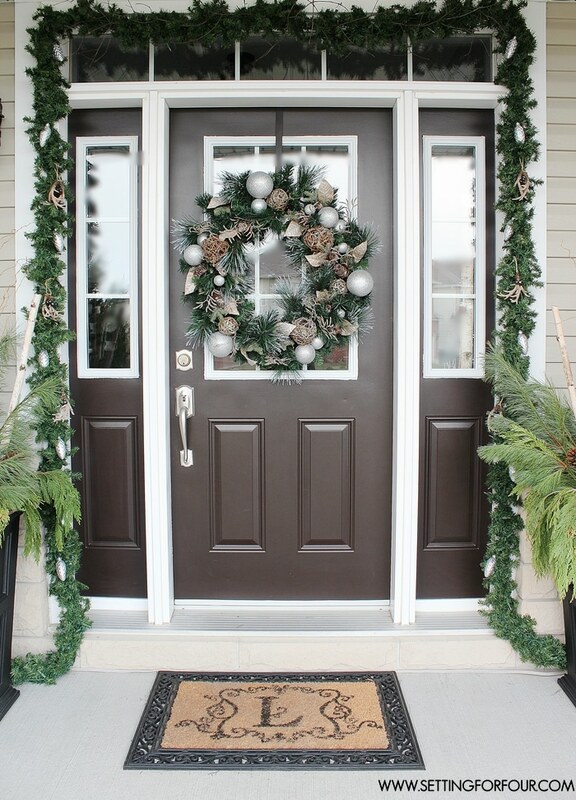 I love the color of your front door you show with the Christmas decorations on the porch. Could you please tell me what color paint and brand you used to paint the door? 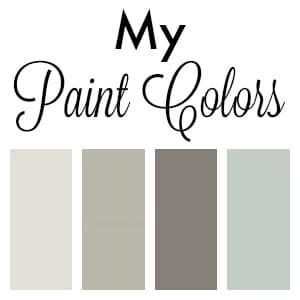 Also the floor of the porch is a great color if you could include the color and brand of paint you used as my front porch is just like yours!